This is for the game. There are music add-ons available through my Game Profile page. 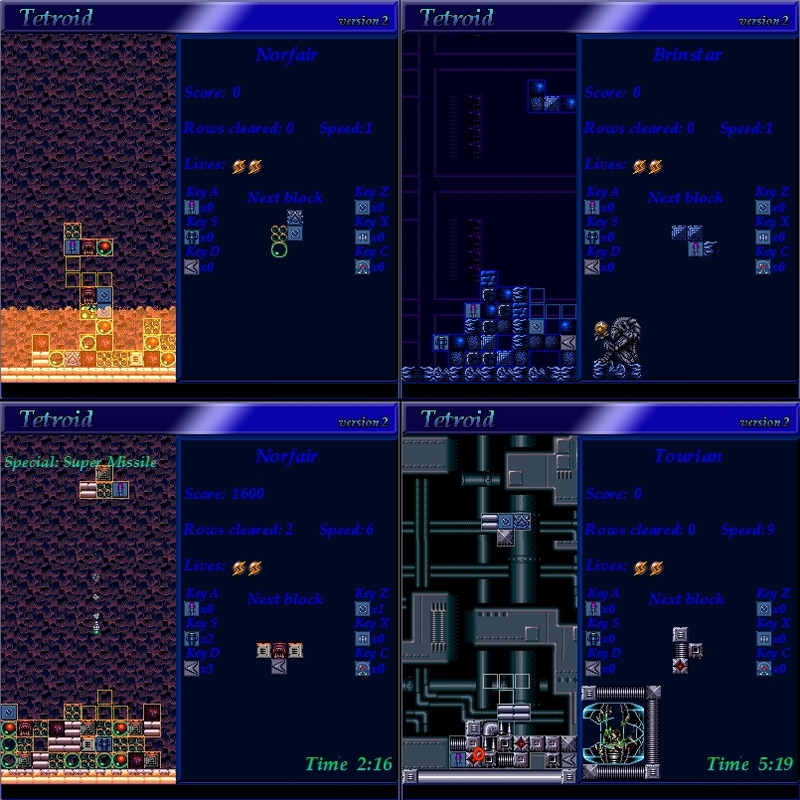 Tetroid is a combination of metroid and tetris, with three classic metroid stages to choose from. You can either race against the clock to rack up as many points as possible in the timed mode, or play the more traditional tetris style. In both modes you have to utilize various metroid items to gain points. - To activate a special, press the corresponding key that appears next to it in the display to the right. - To change the special keys, first pause the game, then press the key that you want to change. After that, press the new key that you want the special to be activated on. - Note: You can only activate specials with the number and letter keys. Metroid Headquarters is kindly hosting Tetroid's highscore board, which can be found here. Submitting a highscore is easy in Tetroid - the game will ask if you wish to submit your score after completing a normal game. Timed games do not get their highscores sent. Metroid Headquarters' Tetroid page is located here. They also have the music packs and main game up for download. 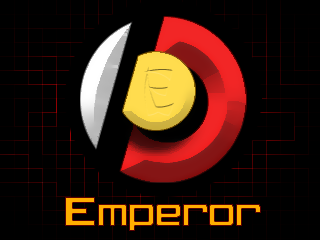 The original Game & Add-ons can be found Here.